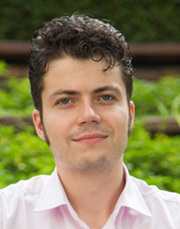 Marek W. Rutkowski is a PhD candidate in History at the National University of Singapore (NUS) working on topics related to the Cold War in Asia. His doctoral research looks at the history of the International Control Commission (ICC) in Vietnam (1954-1964), a nearly forgotten tripartite body composed on India, Canada and Poland and set to supervise the implementation of the 1954 Geneva Accords. As a Visiting Fellow at IDSA, he will work on a research paper dealing with Indian involvement in the ICC based on archival material consulted at the National Archives of India (NAI) and the Nehru Library (NMML). To date, Marek has conducted archival research in the UK, Canada and Poland and presented his findings at conferences and workshops in London, New Delhi and Singapore.